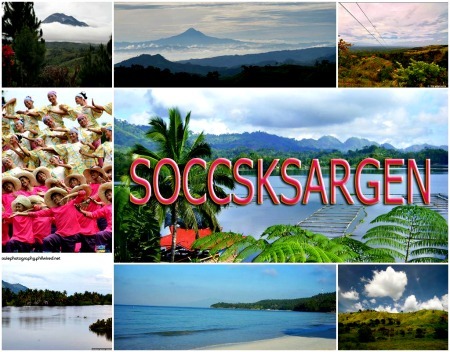 At the staging of the 2nd “Treasures of SOX” travel and trade expo this year, the “SOX is NEXT” strategy of SOCCSKSARGEN region has earned the commendation of a higher tourism official. Department of Tourism (DOT) Assistant Secretary Frederick Alegre commended the approach used by Region 12 in making SOX as the next region to visit and invest in. The official also mentioned the efforts of the regional team led by region 12 director Nelly Nita Dillera in collaborating the efforts of regional stakeholders both from the government and private sector, MSMEs, tour operators, local chief executives, . “With this backdrop of the tourism success, the DOT has formulated a National Tourism Development Plan (NTDP) 2017 to 2022, wherein targets for the tourism sector have been set, including 12 million international visitors, 89 million domestic travellers and total revenue from tourism reaching PHP4 trillion by 2022” he added. To reach these targets, part of the strategic direction outlined in the NTDP is to enhance competitiveness of the tourism sector. In Region 12, this paves the way for the development of new tourism products and activities such as the 2017 “Treasures of SOX” travel and trade expo presently held at Glorietta Activity Center in Makati (April 3-7, 2017). The SOX is NEXT strategy, launching of farm tourism and mo-tourism among others, to lure more international visitors and domestic travellers in the country and particularly in SOCCSKSARGEN areas.